The video has been shared from a Facebook page called Brahmastra Media – that owns Garudavega – a website that routinely carries pro-right wing news. The video received 341 shares from the page, where they call the old man a sadhu or a Naga sadhu, a sect of holy men who do not wear any clothes. You can access the video here as Facebook has restricted the access and can only be uncovered on a viewer’s demand. BOOM contacted Dehradun police who clarified that the man getting beaten up was an imposter dressed as a sadhu who was beaten up for molesting a woman. The police said that the narrative around the video is false and that neither the youngster nor the old man is a Muslim and both are Hindus. The Dehradun police first tweeted on August 30, informing the public that the man was not a sadhu. 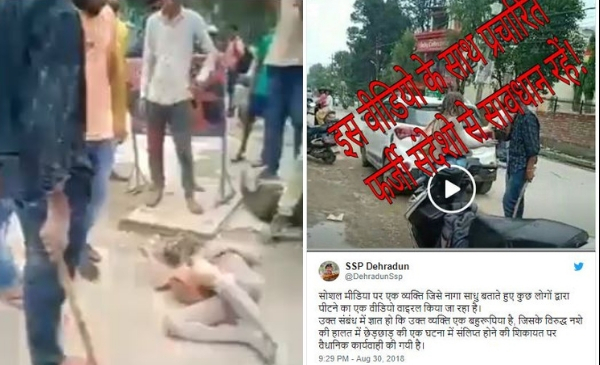 Suryabhushan Negi, Inspector, Patel Nagar police told BOOM that the incident happened on August 24 and the man beaten up in the video is Hindu and not even a real sadhu. “He is an imposter who entered a house under the pretext of begging for alms and then molested a young girl who was alone in the house. When the young girl started screaming, her brother who was next door, came rushing and dragged the man out and started beating him,” Negi said. He added that the girl’s family is a Hindu. 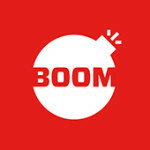 Negi added that the man was arrested after he was brought to the police station by the girl’s family who lodged an FIR. The cops had received the video a few days ago with captions suggesting that Muslim youth were being beaten up. “We were surprised and went back to the family to verify and did not find any truth to the viral claims. In fact in the video, there are some Muslim youths standing in the background and to cover all bases, we tracked them down too. They denied having been involved or even knowing the old man or the person beating him up. In the video too they can be seen only standing and not shouting or touching the man,” Negi said. 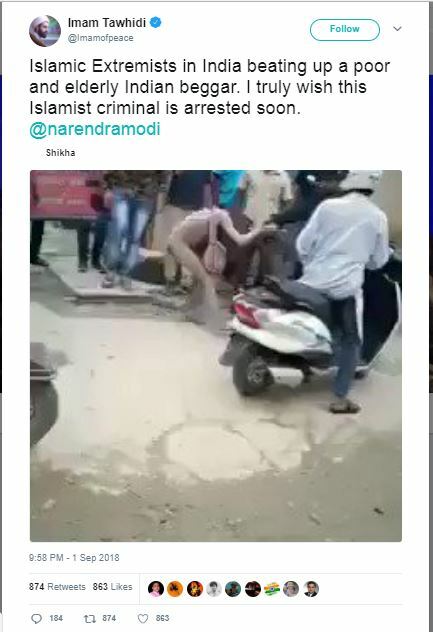 Fact checking website Alt News on Sunday reported that the video was tweeted by a Twitter handle @Imamofpeace with the caption, “Islamic Extremists in India beating up a poor and elderly Indian beggar. I truly wish this Islamist criminal is arrested soon. @narendramodi.” While the handle deleted the tweet, the archived version can be found here. 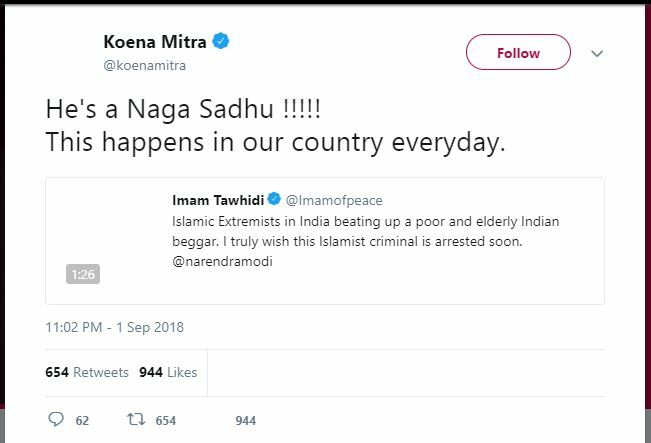 Additionally, Alt News archived actress Koena Mitra’s retweet who added that the elderly man getting beaten in the video is a Naga Sadhu. Pro-hindutva authors Rajiv Malhotra and Shefali Vaidya too retweeted the video from the account of Anand Srivastava – founder of Bharat Herald who later deleted his tweet. Meanwhile, Dehradun police is now in the process of filing a complaint against those who forwarded the video with false narratives. “We are trying to trace the person who shot the video and then follow the dots from there. It was viral in some parts of Dehradun too but surprisingly we found it was spread in South India where he was being called shiv bhakt,” Suryabhushan Negi, Inspector, Patel Nagar police said to BOOM.